How Will You Make Your Mark on International Dot Day 2015? 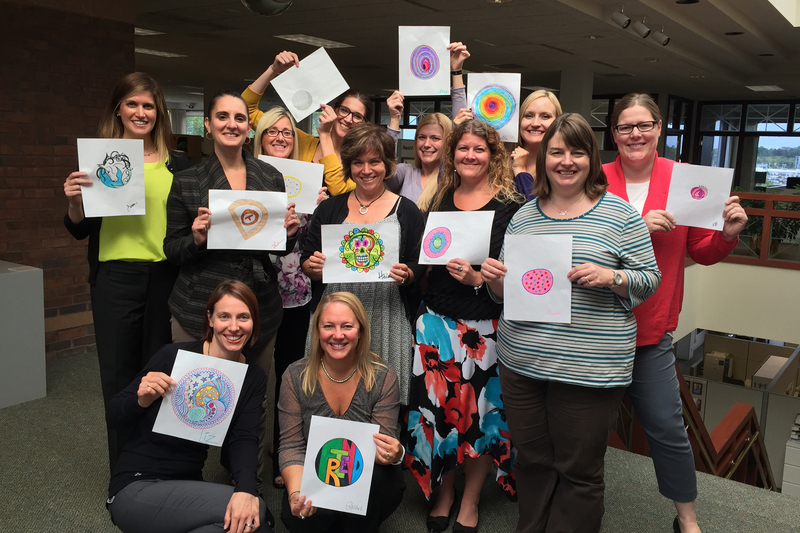 How Will You Make Your Mark on International Dot Day 2015? 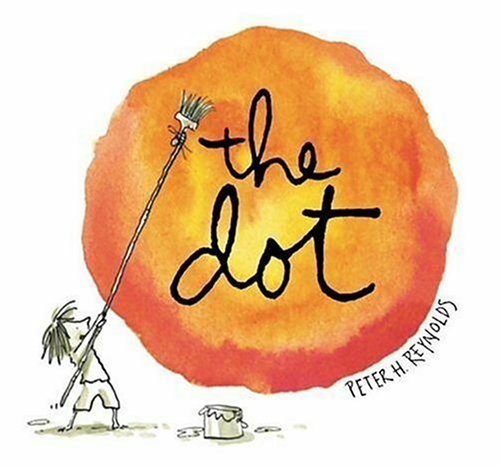 At its heart, Peter H. Reynolds’s book The Dot is a story about mentorship and its power to foster self-discovery, creativity and belief in oneself. After Vashti makes one stubborn, angry dot on her paper, her teacher doesn’t acknowledge the child’s show of defiance—she simply asks her to sign her work, and we see Vashti’s confidence begin to blossom. “Maybe I can’t draw, but I can sign my name,” she thinks. When Vashti next comes to art class, there is her drawing, framed and hanging in a place of honor. We are then buoyed along on Vashti’s journey of self-discovery as she sets out to make a better dot than her first … and uncovers a world of creativity. We see colorful dots, big dots, little dots — a whole gallery of dots — that have a transformative effect as they are displayed at the school art show. The story line comes full circle as a young boy admires Vashti’s art and wistfully says, “I wish I could draw.” Without hesitation, Vashti passes on her newfound wisdom, encouraging the boy to make a mark and validating his work and his self-worth by asking him to sign it — a special and powerful moment. The Dot is a remarkable piece of children’s literature. The book makes such an impression on young readers that it motivated teacher Terry Shay to create International Dot Day after introducing his class to the book on September 15, 2009. A global community now celebrates Dot Day on Sept. 15-ish (on or near September 15), with more than 2.5 million participants in 105 countries. for International Dot Day 2015. Packed with resources, the site includes an Educator’s Handbook, a dot gallery and inspiration from colleagues, including a video collaboration between Shannon Miller and John Schumacher, who connected their students from different states through Skype; Richard Colosi’s video featuring his student’s iPad artwork inspired by The Dot; and a video detailing how students in Portugal celebrated. And don’t miss 2014 School Librarian of the Year Finalist Andy Plemmons’s blog where he details the exciting ways he has celebrated Dot Day in his library. So how will you inspire kids to discover their creativity? You can follow what others are planning on Dot Day’s Twitter and Facebook pages, and share your own events by using the hashtags #DotDay and #MakeYourMark. We can’t wait to see what kind of mark your library is making on the world! FableVision Learning. “Superhero Educators of Dot Day.” FableVision Blog. Aug. 22, 2014. Winner, Matthew. “International Dot Day.” The Busy Librarian Blog. Aug. 10, 2015.